We went on a road trip to the California Central Coast with Dru! 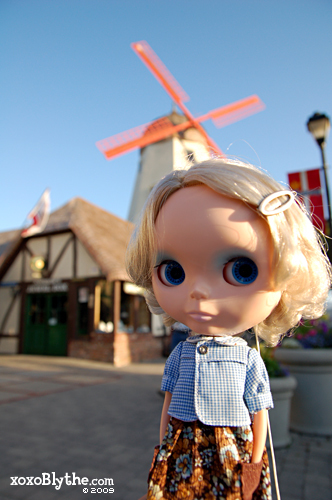 Here she is in front of one of the many windmills in Solvang, California. We also went to the wine country, Monterey Bay Aquarium, Hearst Castle, and lots of antique stores along the way. Lots of photos here in my Flickr set!